Sometimes you want to see the best of Colorado in the most comfort and safety. Our sightseeing tours, leaving all year round, are the perfect way to experience Colorado’s diverse landscapes, wildlife, and mountains, taking in breathtaking views from our vans and knowledgeable guides. We can accommodate a group as small as 1 or as much as 1,000 with our fleet of buses and vans. We’ll take you to sites of historical importance, from Colorado’s humble start as a gold mining state, to the modern foundations of Boulder and Denver. Take a sunset tour to the top of Flagstaff Mountain just minutes outside of downtown Boulder and watch the Front Range get bathed in a golden light at the end of the day. In the fall, join us for the Elk Bugling, when thousands of Elk congregate in the field in their quest to find a mate. 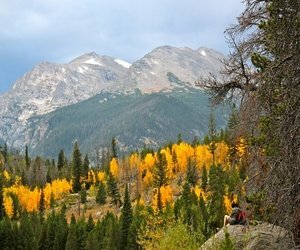 Check out or Rocky Mountain National Park Sightseeing Tours from Boulder, Denver, or Estes Park, Front Range History Tours, Denver, Ft. Collins and Boulder Brewery Tours, and Colorado National Park Tours.